I am a bookaholic and I admit I have a problem, but I do not want help resolving this problem because honestly it's an amazing problem that involves an ever-expanding library with thousands of tales to be read. This girl Anne ends up in the middle of a mysterious conspiracy. Turns out her ancestors were pirates, and she might be the key to finding the forgotten dresses. It’s a mythic artifact that disappeared centuries ago, and now a shadowy group of Graveminders are looking for it. No one knows what uncovering it might do, but these guys are willing to fight for it. I won’t say anything else. 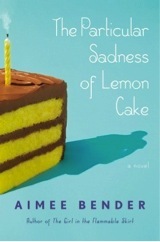 But believe me, if you like accomplished stories with lemon cakes and spells, you have to read this one.